I’m a pretty simple girl. I’ve never been someone who gets up extra early to put on a face full of makeup or tirelessly slave over a hair straightener. I have long, naturally wavy hair and a natural, pale complexion, and quite frankly, I like being me! I like being natural. That’s not to say that I never curl or straighten my hair or add a little blush or eyeshadow. I do on occasion and I like that style, too, but I don’t feel like it’s a requirement for my daily look. I also have an issue with so-called idealistic beauty standards, but that’s a tangent for another day. 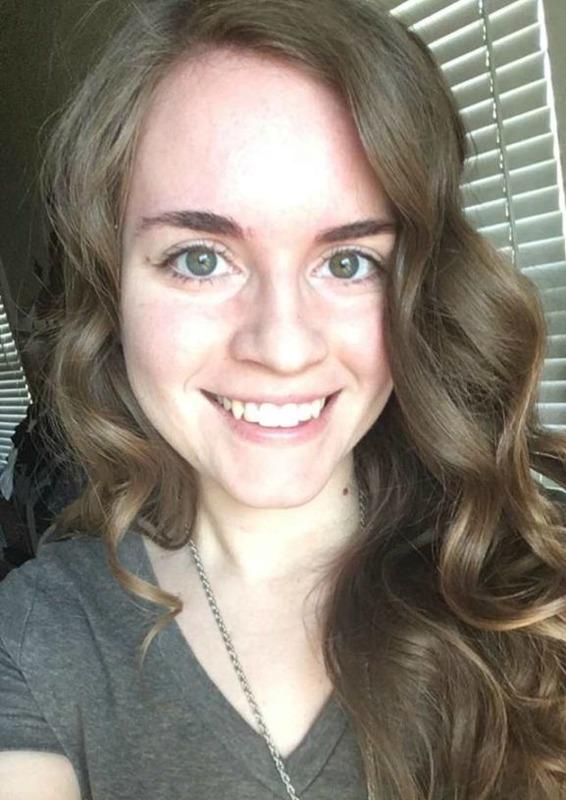 I have long hair and yet, I feel like it’s fairly easy to maintain, mainly because I’ve found a few go-to hairstyles that really work for me and don’t require much time in the morning. I’d rather use that time to sleep a few minutes longer. I typically wash my hair in the morning, put a little product in it (hair gel, Moroccan oil, or Shea Butter Curl Milk), scrunch a little, and let the air do its thing. Typically within an hour or two I have wavy, naturally dried hair. Note: I don’t comb it out or blow dry. Combing tends to reduce the amount of wave and blow drying makes it frizzy. I typically rake my fingers through it while I’m conditioning in the shower. I typically just comb the top part for a sleeker look. If the rest is a little tangled, the bun holds better. Gather your hair like you’re making a ponytail, twist the hair while wrapping it into a circle, and secure with a hair tie. When my hair was a little shorter, I could hold a bun with a few bobby pins. For a messy, high bun, don’t comb at all. Just pull it up high, twist, and secure! I love this look for weekends or after a long day at work. This is another go-to look on my non-wash day. I love wearing a side braid. Sometimes I wear it traditional and sometimes I do a fishtail. If you can do a normal braid, you can do a fishtail with some practice. For a fuller looking braid, tug at the sides after you tie it off. I like to wear high ponytails on wash or non-wash day. I typically comb out the very end (on non-wash days), but leave the rest as is, so I don’t comb out the waves. I pull it up with my fingers, allowing for some imperfections. The imperfect, full look gives it more character. Sometimes I want sleeker, more defined curls. I recommend investing in a nice curling wand. It’s a little tricky to get used to holding it. You have to wear a glove in one hand to hold the curls in place. Unlike a traditional curling iron, there isn’t a clamp. 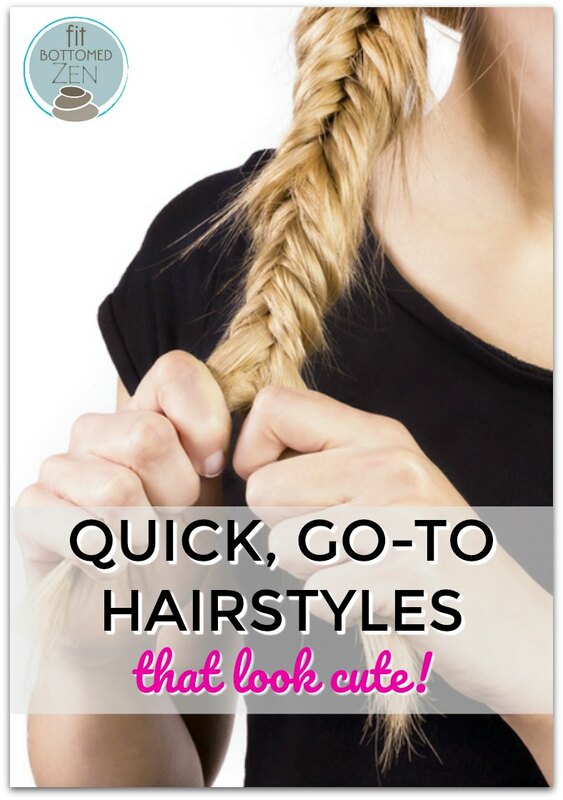 The wand creates quick, sleek curls. If I have more time, I separate my hair into sections and curl one section at a time. This gives it a full, defined look that lasts all day. If I don’t have as much time, I leave it all down and grab one section at a time and curl. The quick curl takes me about 10 minutes. The sectioned curl takes roughly 25. I always put in a heat protection oil first. I call this overnight curl magic! My sister-in-law, Laura, showed me this trick and it’s a beautiful thing. First brush out your hair, sprinkle a little water onto your hair (damp not wet), and comb it through again, making sure the strands are slightly damp. Put a soft, cotton headband on top of your hair. Start on one side and slowly feed sections of your hair up and around the headband, essentially wrapping it all the way around. The two sides should meet in the back middle. Keep wrapping them around until all of the hair is wrapped. Tuck the tail in and bobby pin it if it won’t stay. Sleep! In the morning, slowly unwrap your hair from the headband and voila, beautiful, bouncy curls that’ll last all day! I usually shake them out to add even more volume, but that’s up to you! Long hair doesn’t have to mean high maintenance! It’s probably easier to care for than short hair. Most of these tips will work well for most lengths. Sometimes simple tells the most love to read this.